Why is financial control so important? Financial control allows the company to evaluate, in a continually objective and systematic manner, the variances that are generated on previously established strategic and operational lines. By doing so, this kind of control provides Management, or others holding a high level of responsibility in the business or organisation, with enough useful arguments and insights allowing them to take decisions that guarantee the follow-up of any corporate objectives proposed. When we talk about financial control at a strategic level, we are referring to the process of evaluation of concurrence and coherence regarding the financial plan and the strategic plan of the organisation, ensuring the achievement of objectives of the latter. 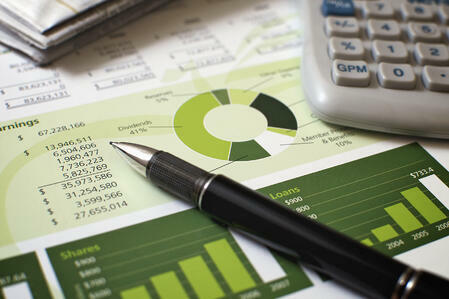 With financial control, you avoid last minute surprises at the end of the fiscal year. It is the best way of detecting deviations in budgets and strategic lines and taking appropiate action to compensate, balance and amend. Investments are absolutely essential for the development, growth and also the viability of a business, but if they are not strictly controlled they can be the primary focus of important budget imbalances in a company. From an operational perspective, through an optimal financial control methodology it is possible to control each of the accounts within the overall balance. Therefore, its importance is paramount, and it is probably the financial control phase where the most controls should be deployed, recording and evaluating all operations and transactions. It allows financial control at all levels of the organisation: strategic, operational, investment, etc.